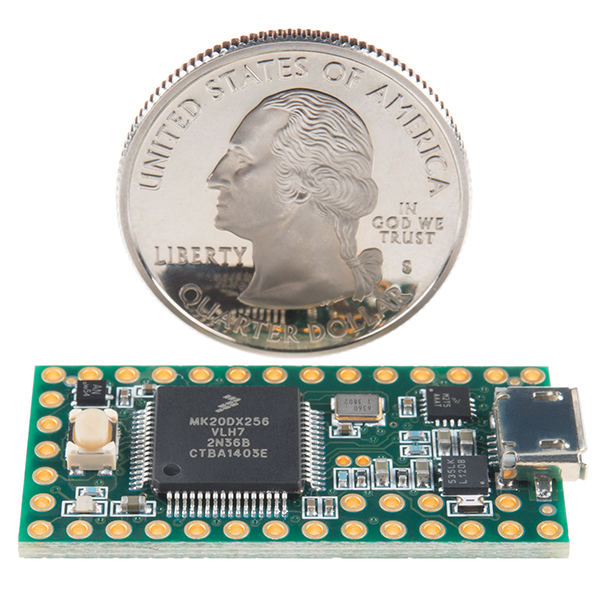 The Teensy is a complete USB-based microcontroller development system, in a very small footprint, capable of implementing many types of projects. All programming is done via the USB port. You can program for the Teensy in your favorite program editor using C or you can install the Teensyduino add-on for the Arduino IDE and write Arduino sketches for Teensy. The processor on the Teensy also has access to the USB and can emulate any kind of USB device you need it to be, making it great for USB-MIDI and other HID projects. The 32 bit processor brings a few other features to the table as well, such as multiple channels of Direct Memory Access, several high-resolution ADCs and even an I2S digital audio interface! you can learn more about Teensy by visiting this page. 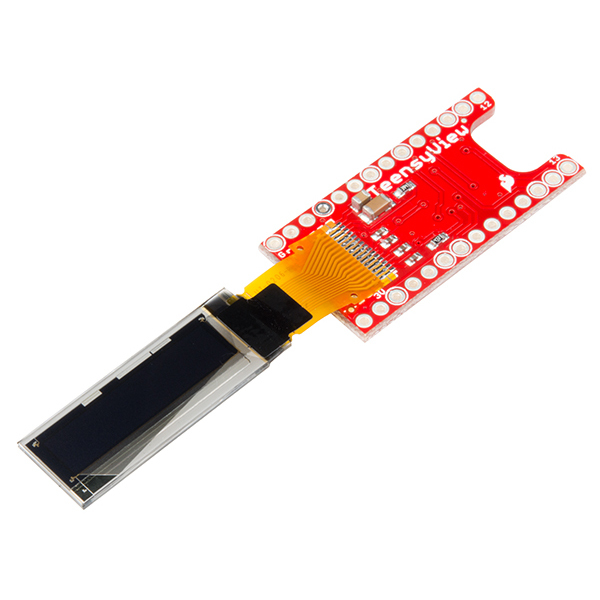 SparkFun had launched a new add-on to Teensy that can make it possible to add to it display functions. 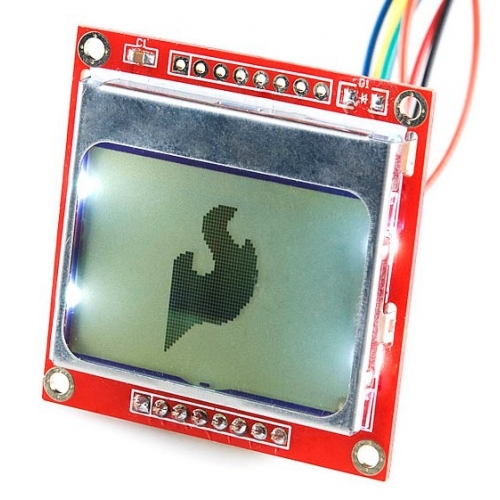 The SparkFun TeensyView brings you an easy way to add a small, white-on-black OLED to your Teensy development board. The 128×32 monochrome display is controlled with the popular SSD1306 IC, and is a great way to display debug information and to visualize data without the need for a serial terminal. The board matches the Teensy 3 form factor perfectly, and was designed from the ground up to be as flexible as possible while still being able to nest down into a low-profile addition for the Teensy. 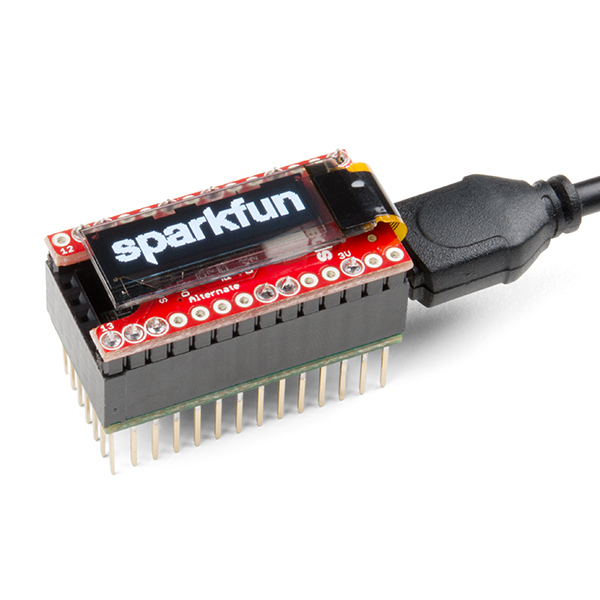 Teensy 3.2 is available at SparkFun for $19.95 and TeensyView is available for $14.95. TeensyView right now is out of stock but you can still follow up and get a notification once it returns to stock. 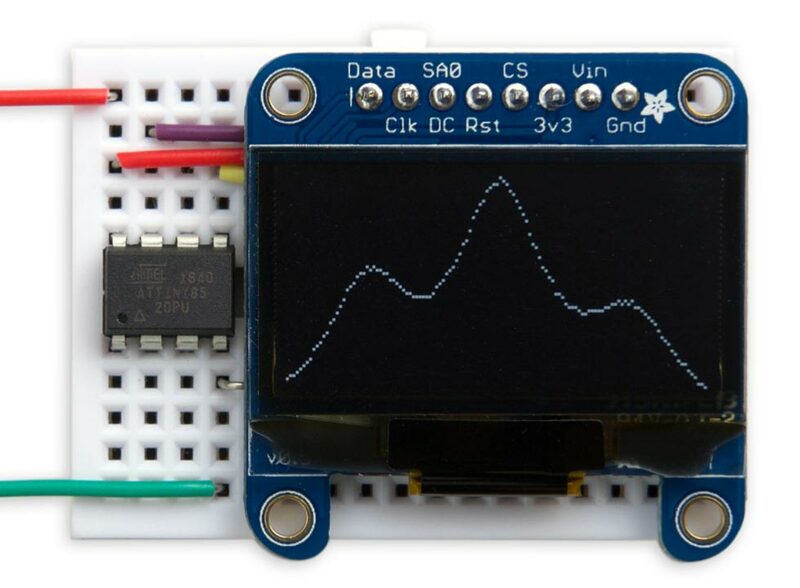 You can know more in-action details by checking this SparkFun tutorial and checking theses links Schematic, Eagle Files, Drawing Bitmaps, OLED Memory Map, Datasheet (SSD1306), Arduino Library, and GitHub! 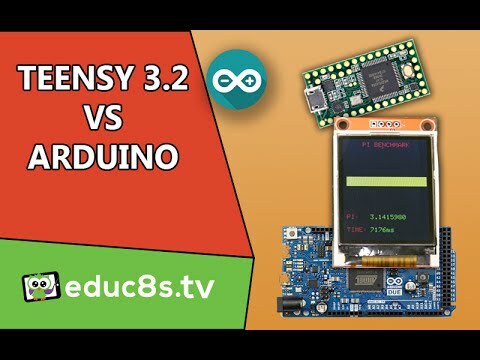 27 March, 2016 Teensy 3.2 VS Arduino Due and Arduino Mega. Which one is faster? This is my first visit to your blog we are International Organization and Manufacturer specializing in the designing and manufacturing of Optronics Systems.